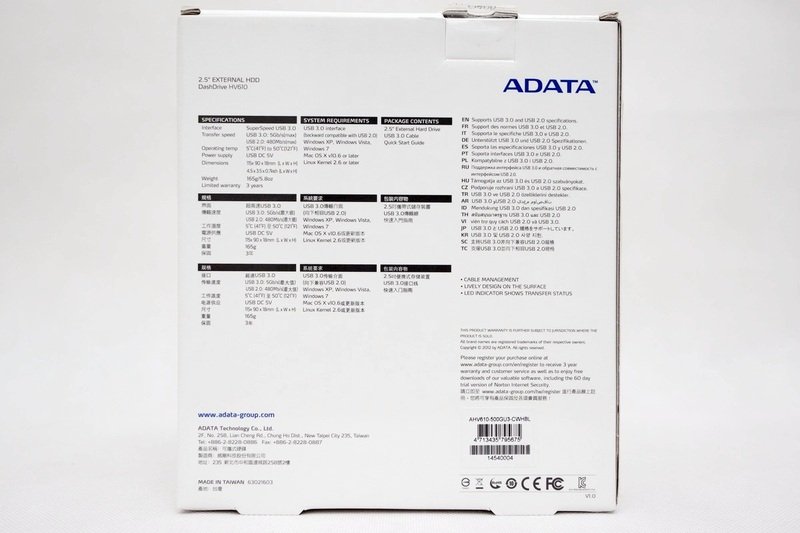 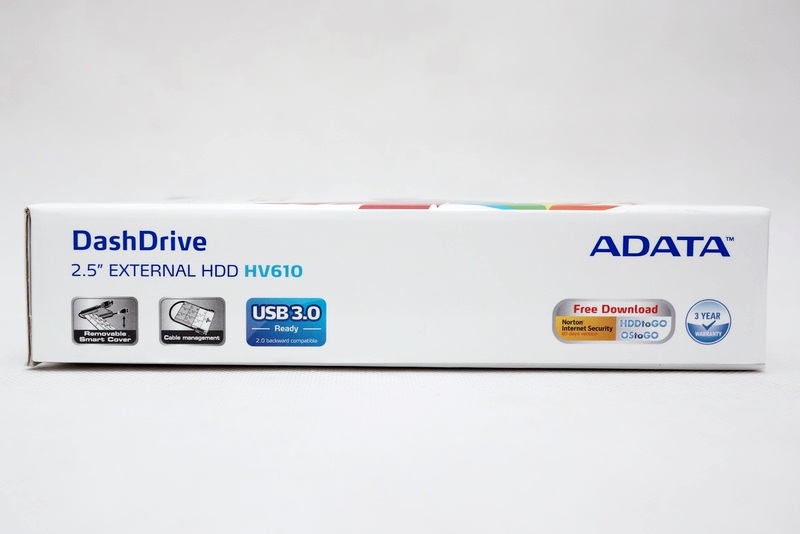 Exquisite carton packaging, pearls of the ADATA HV610 500G brands LOGO, the product image. 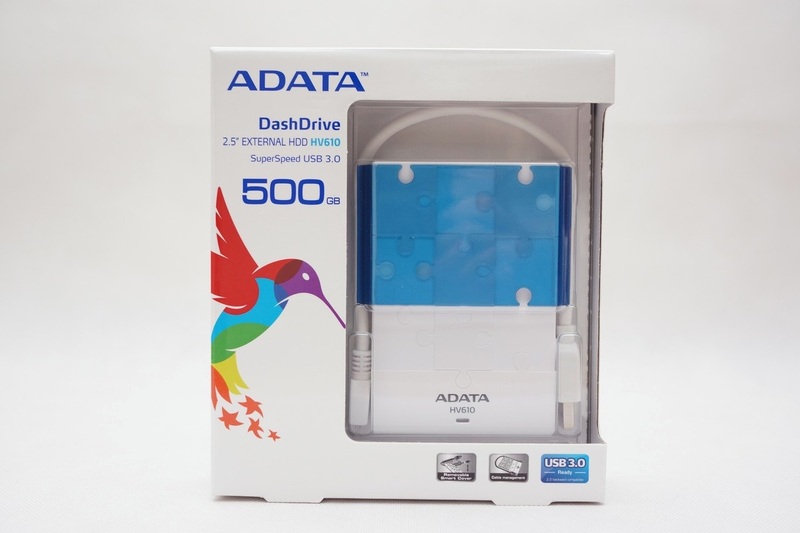 The common 500G specifications, speaking 500G capacity as an external hard drive, the actual use on it is enough if enough can buy a higher capacity 750G or 1TB version. 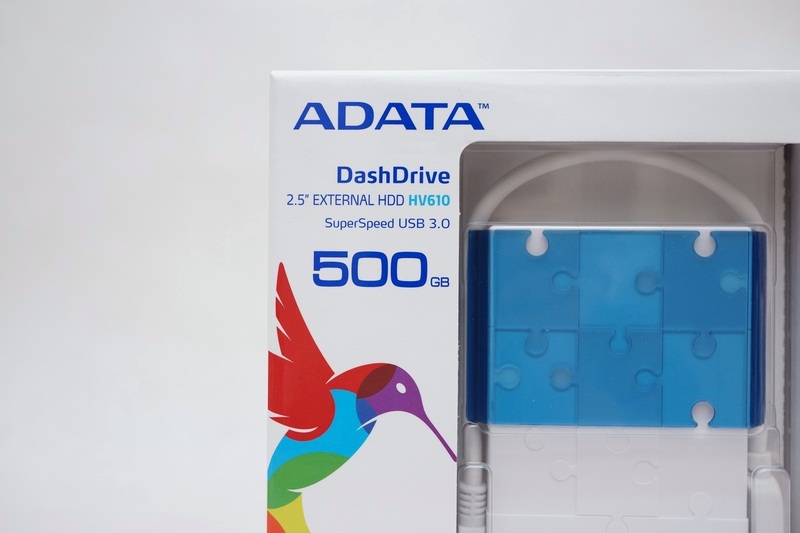 Simple labeled product uses USB3.0 transmission interface, the transmission line and the fuselage integrated storage, a removable transmission line storage pieces and 3 years warranty Features. 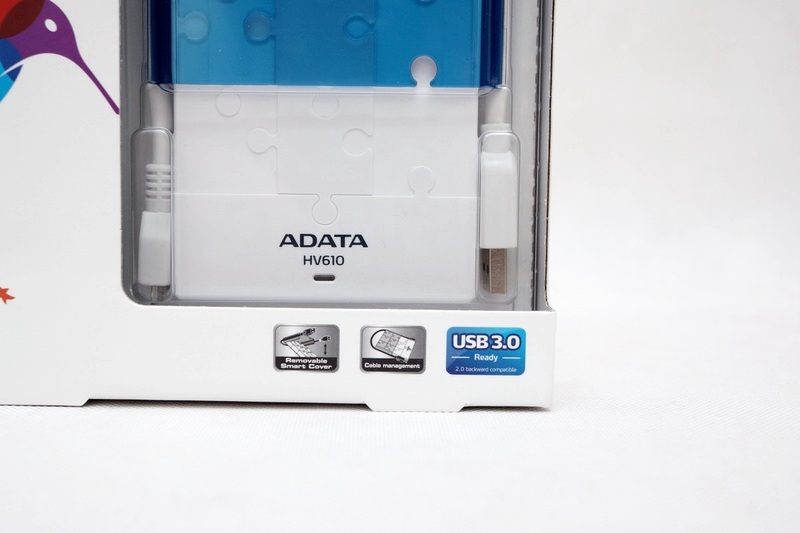 How language profile, coupled with the Traditional Chinese product is worthy of recognition, the Taiwan package of products, and USB3.0 Interface.